As churches seek to reach younger people - who are often not attending churches - social media could play an important role. As in past times with other communicative mediums, it remains important to go where the audience is. I explored this idea in a piece for the Churchnet page in the July issue of Word&Way (a Baptist magazine in the Midwest). The piece, Churches Should 'Like' the #, includes comments from Nathan Evans, a member of the Churchnet Board of Directors and managing director of Blue Duck Marketing, and Zach Dawes, Jr., managing editor for EthicsDaily.com. 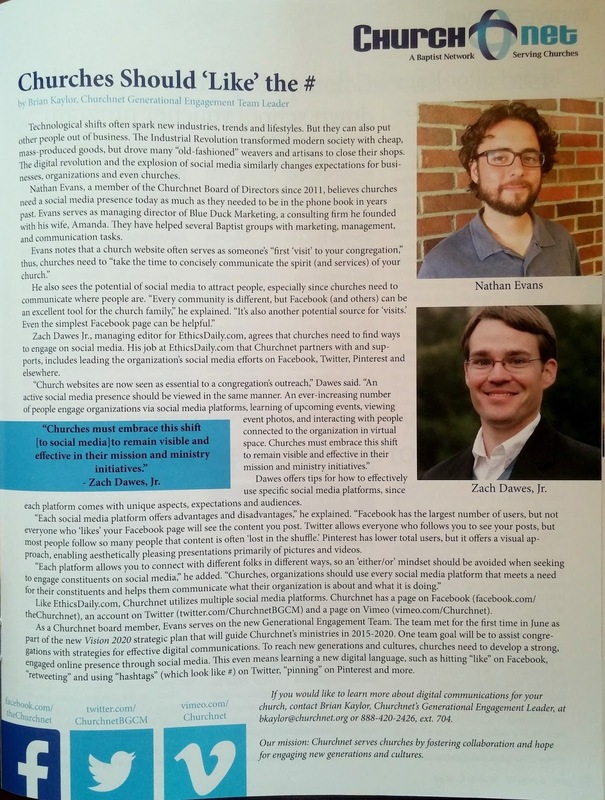 As I noted in the piece, Churchnet utilizes multiple social media platforms, including Facebook (facebook.com/theChurchnet), Twitter (twitter.com/ChurchnetBGCM), and Vimeo (vimeo.com/Churchnet). 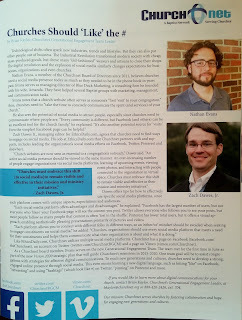 Hopefully the piece inspires some pastors and church leaders to engage more effectively with social media.